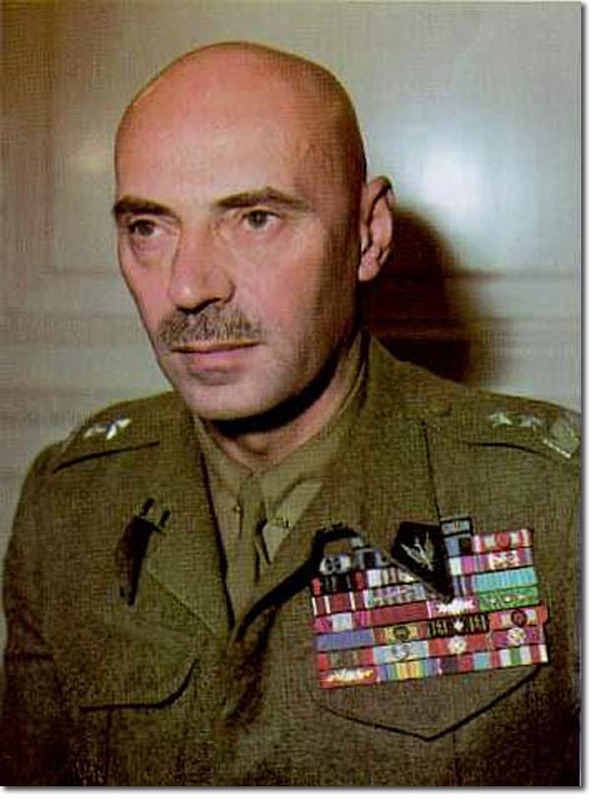 General Anders was a Polish national hero and successful commander of 2nd Polish Corps that defeated the Germans at Monte Cassino in May 1944. He and his men had great respect for the 7th Hussars following the battles of Ancona and Rimini Line. He conferred the red badge the Mermaid of Warsaw on them and it has been worn on the left sleeve ever since. After the war he and many of the Poles refused to return to Poland to live under the communist yoke so the Polish government stripped him of his Polish citizenship.